Tom Ujvagi, Centric Consulting’s Process Excellence (PEX) National Practice Lead, has a strong focus on developing tools and methodologies that can be applied across multiple companies, programs, and projects. He partners with local Centric resources and their clients to ensure quality delivery of PEX engagements that lead to both quick wins and long-term value recognition. Prior to working at Centric, Tom led transformational changes at multiple organizations, both as a corporate leader and a consultant. While serving in numerous roles over his career, Tom has maintained a focus on continuous improvement through process, technology, and the convergence of the two. He is an experienced manager who seeks to instill the same process mindset in his teams. Tom’s experience balancing process and technology in efforts across multiple industries including both transactional and manufacturing industries, enables him to bring unique and sustainable solutions to his clients. He recognizes the power of technology but also understands that technology isn’t the answer for everything. 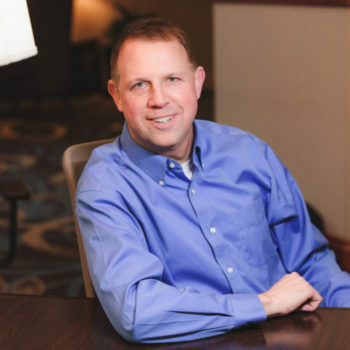 Tom’s consulting and industry career has provided him with an extensive and diverse background that includes business process improvement, business process management, project management, operations management, and technology solution implementations. The keys to his success across multiple organizations are his ability to remove emotion from the decision-making process by leveraging data and maintaining a strong focus on dates and deliverables. Tom lives in Cincinnati, Ohio with his wife and four children. Tom and his wife are happily and heavily involved with their extremely active family and work together to instill strong values in their children. When Tom’s not coaching one of his kids’ many sports teams, he is on the sidelines as their biggest fan.